The Pothos SDR development environment makes it easy for Windows users to start exploring and developing in the exciting ecosystem of open-source software-defined radio. GNURadio/GRC/OsmoSDR users: Interested in using GNURadio-companion and OsmoSDR source and sink blocks? Checkout the GNURadio instructions page for a step-by-step guide. Bundled GQRX support: The GQRX receiver software is bundled with the PothosSDR environment. Users can find a shortcut to the GQRX graphical application in the start menu. Checkout the GQRX guide for more details. 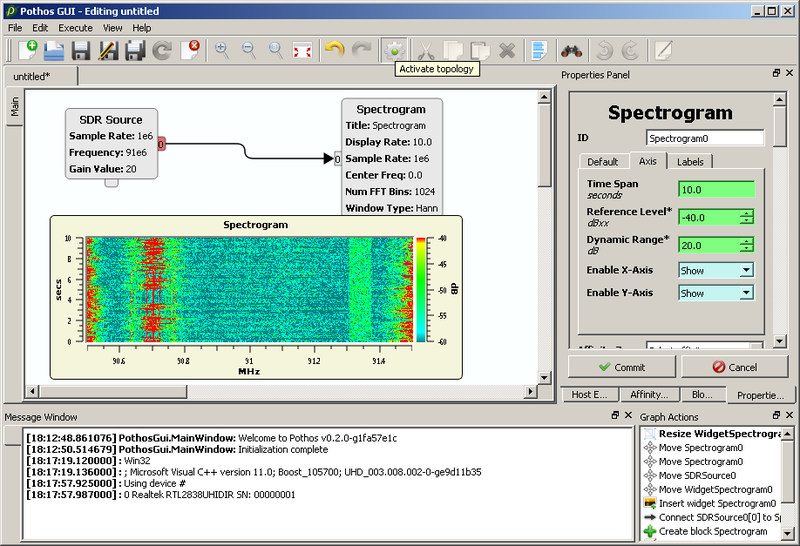 Bundled CubicSDR support: The CubicSDR receiver software is bundled with the PothosSDR environment. Users can find a shortcut to the CubicSDR graphical application in the start menu. However, this is only available for the MSVC 2015 version of the installer. The Pothos project is a complete data-flow framework for creating topologies of interconnected processing blocks. Pothos is a stand-alone framework library, with graphical designer tools, visualization widgets, and various toolkits containing processing and interface blocks. 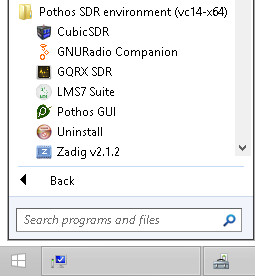 The getting started tutorial will guide users through downloading and installing the pre-built Windows Pothos SDR development environment. Users will make sure that their SDR devices are installed properly and can communicate with the environment. And finally, the tutorial will cover building a simple visualization application in the Pothos GUI. Lets get started! The development guide is for users interested in developing new processing blocks and hardware support modules. We would love to hear your feedback, feature requests, and bug reports. Please don't hesitate to Contact us or simply let us know that you are using the environment.